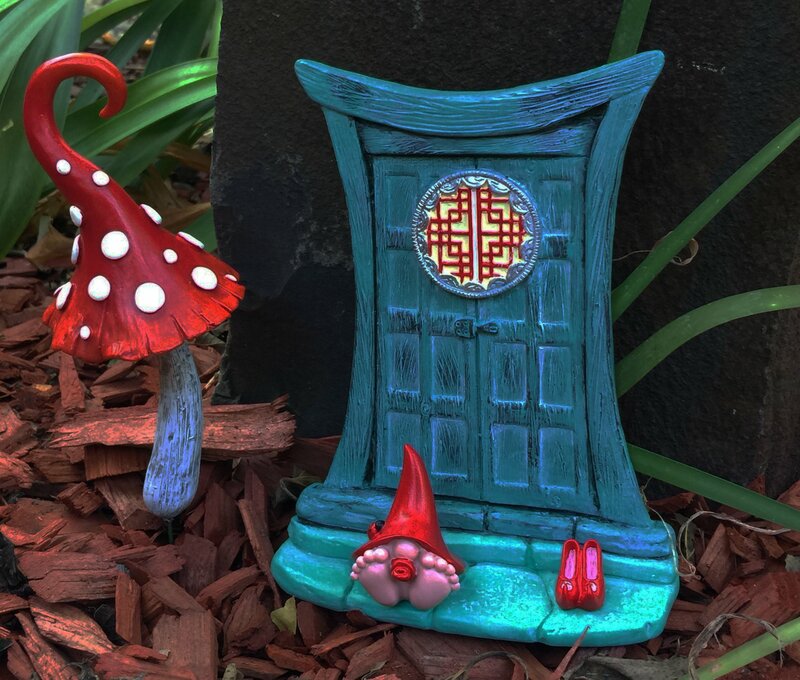 Includes one Turquoise Zen Style (Lucky Red) Miniature Fairy Door for Miniature Garden Fairies and Gnomes with Removable Red Fairy Shoes. 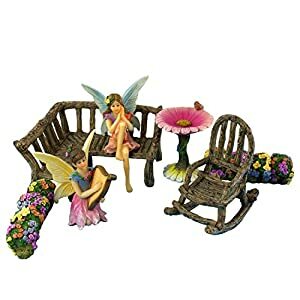 Fairy Garden Accessories. A must have for the miniature garden enthusiast! 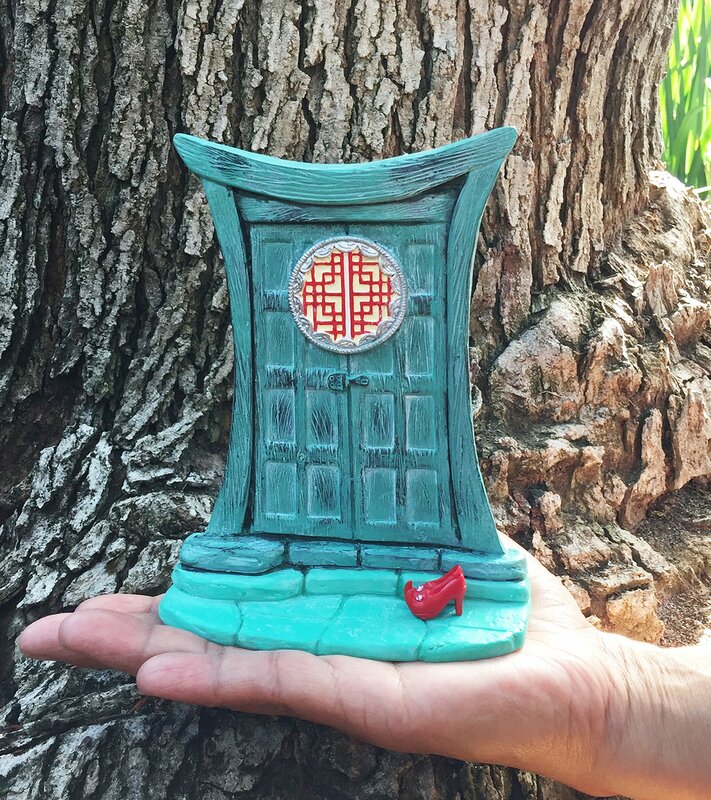 Beautifully turquoise hand painted Zen-inspired fairy door for the fairy and gnome gardens. 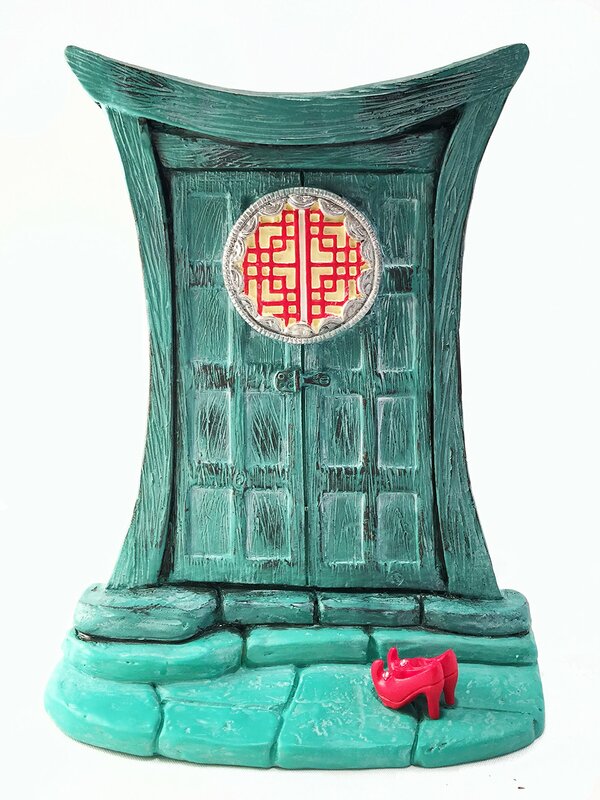 Enter into the land of fairies, gnomes, magical and enchanted creatures through this beautifully crafted door. 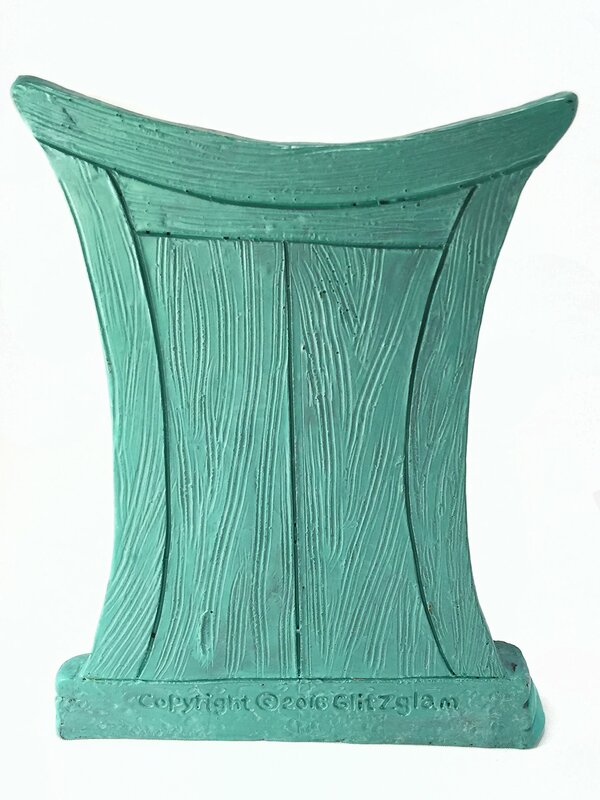 This work of art is painted in antique turquoise and pebble rock door steps. It comes decorated with a door ornament intricately painted in red and silver for beauty and good fortune (Lucky Red.) Removable red fairy shoes are included to add a beautiful charm and to inspire garden fairies, pixies, sprites and even gnomes to come and visit. A must have for the miniature garden enthusiast! Fairies adore artistic creations just as much as they love music and flowers. 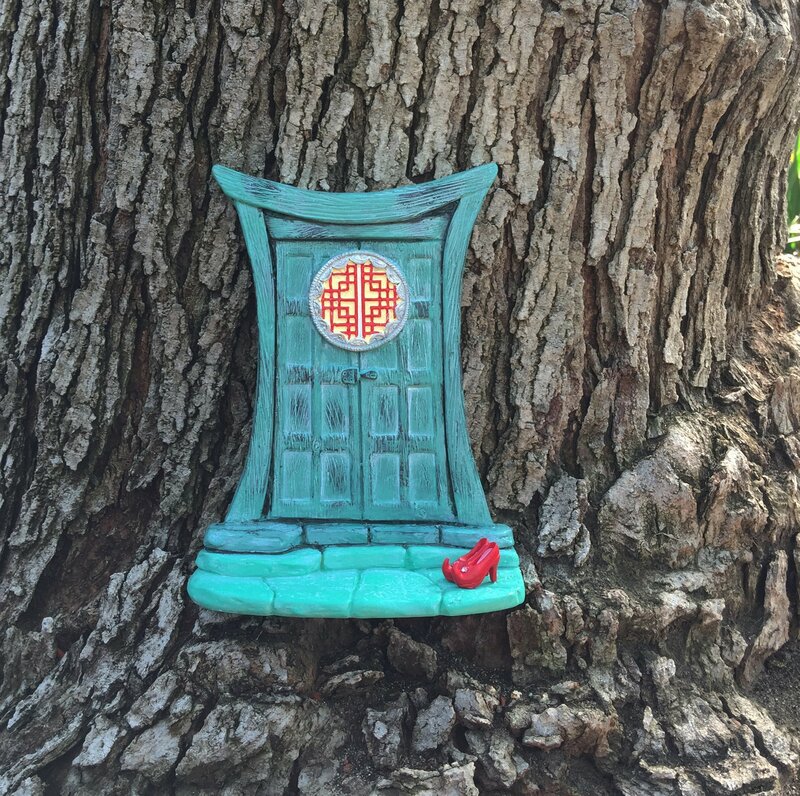 When you place this beautiful fairy door in your enchanted garden it will immediately begin to lure in the right fairy to enter. 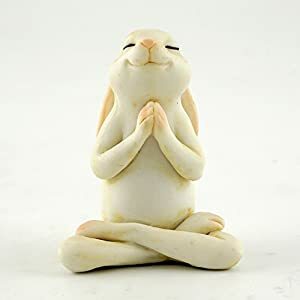 Place this beautiful piece in your miniature garden against any wall, tree or plant. It also looks great when placed indoors against the bottom of your walls. The design, craftsmanship and materials are absolutely amazing! When you closely examine it – you are guaranteed to appreciate the attention to the smallest features, details and quality. 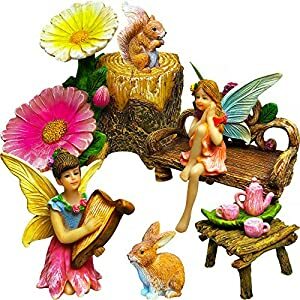 Enter the world of fantasy and magic with this fairy and gnome garden accessory piece as it will serve as a beautiful addition to your miniature garden or fairy house kit. 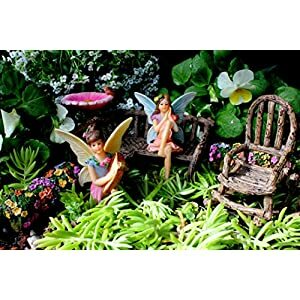 It completes your fairy garden kit with beauty and elegance that even Tinker Bell would be proud to have. The door is self-standing and can stand on any flat surface without being hanged. If you wake up in the morning and find that the red shoes are gone – you'll know that a fairy is trying them on somewhere. 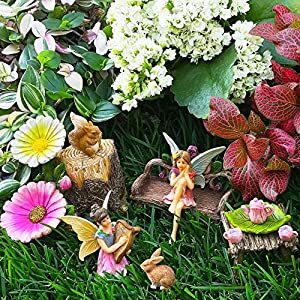 Standing solid 6 inches tall this garden and indoor ornament will work great with your miniature fairies and full-size gnomes or as part of your fairy house kit. The door does not open (fairies go through closed doors.) 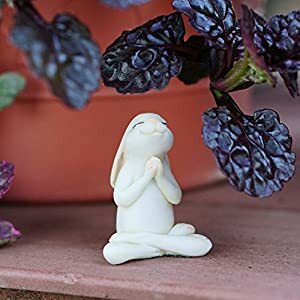 An absolute must-have for your fairy or gnome miniature garden! Exclusive copyright design and hand painted by our artisans. Several door styles by GlitZGlam are available. Removable red fairy shoes are also included. A must have for the miniature garden enthusiast!